When a United States Congressman refers to a project in which you had a key role as “the most significant thing that has happened there since Daniel Boone began to bring settlers through the Gap,” you know that as an engineer, you have made an impact. Bobby Vaughn can proudly point to many successful projects completed by Vaughn & Melton Consulting Engineers of Middlesboro, Kentucky , the firm he and partner Lewis N. “Nick” Melton co-founded in 1967. But Middlesboro-area residents, as well as U.S. Representative Hal Rogers, who made the above statement, would likely rank the Cumberland Gap Tunnel, completed in 1996, at the top of the list. Vaughn & Melton played a central role in the project, which allows much easier and safer access to Middlesboro and the Cumberland Gap area, including northeastern Tennessee and southwestern Virginia , as well as southeastern Kentucky. The maintenance and operation of the tunnel is managed by Tunnel Management Incorporated, a Vaughn & Melton subsidiary. The American Road and Transportation Builders Association, as part of its 100 th anniversary, selected the top 100 projects for the last century – two from each state. The Kentucky selections were the state’s parkway system and the Cumberland Gap Tunnel, for which Vaughn & Melton provided design, surveying, construction engineering and inspection services. Mr. Vaughn got an early start on his engineering career, gaining valuable experience as a student. A 1958 graduate of Hazard High School , he entered the University of Kentucky on a Kentucky Department of Highways scholarship. During summers, and following his graduation with a Bachelor of Science degree in civil engineering in 1963, Mr. Vaughn worked with the Department of Highways in construction, design and traffic. In 1966, recruited by Mr. Melton, he joined Crowder and Associates in Columbus, Indiana, a small city renowned for its architecture. Mr. Vaughn was involved in urban street design and long range planning for water and sewer facilities. He and Mr. Melton started their company in 1967, fulfilling a plan they had made years earlier as UK students. They chose Middlesboro for its small city environment and an opportunity to offer engineering services not previously available. Within a year, they landed a project larger than any the Columbus firm had ever handled. Vaughn & Melton quickly became a familiar name in engineering. Two years after its founding, the company was chosen by the Kentucky Department of Highways, in a joint venture with Florence & Hutcheson, to design 16 miles of the Green River Parkway in Butler County. Mr. Vaughn was responsible for the south half, including a diamond interchange at Morgantown. Vaughn & Melton added related engineering and design services. Between its seventh and tenth years in business, the company doubled in size. Mining and electrical engineering services were expanded, and structural engineering for bridge design was offered. The company employed more than 100 people by 1985. Today, there are more than 200 employees. 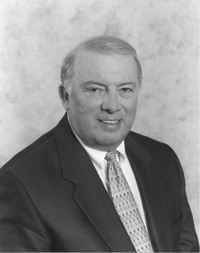 Mr. Vaughn, now chairman of the board, still provides direct oversight on major projects such as the Asher Industrial Park, which involves a Cumberland River Bridge and more than three miles of roadway; and Interstate 66 in Pike County, Kentucky, and Mingo County, West Virginia, where he has led efforts to strengthen community support for the project. Mr. Vaughn is a past president of the Kentucky Society of Professional Engineers; past president of the Pine Mountain chapter of KSPE; and past president of the Consulting Engineers Council of Kentucky. Active in the community, he is a member of the Bell County Industrial Foundation; a member of the Southeast Community College Board of Trustees; and a director of the Center for Rural Development in Somerset. He is also a director of First State Bank of Middlesboro and a member of the dean’s advisory council for the UK College of Engineering. Mr. Vaughn and his wife, Sharon Costanzo Vaughn, reside in Middlesboro. They have two daughters, Lee-Anne and Martha Blair Vaughn.